Código interno: 255258. Mangueta delantera derecha ISUZU TROOPER 2.8 Turbodiesel, Año: 1983. Wir können es überprüfen. Nous pouvons le vérifier. Part No : ADZ98715. VAUXHALL FRONTERA 2.0i Fd Est 4 x 4 5 MTM 20 E SED 2S 10/91>12/98. VAUXHALL FRONTERA 2.3DT Fd Est 4 x 4 5 MTM 23DTR SED J 10/91>02/95. VAUXHALL FRONTERA 2.4i Fd Est 4 x 4 5 MTM C24NE SED 3 10/91>02/95. Isuzu D-max/Danver/Rodeo (2.5TD-TFS86) (3.0TD-TFS85) Pick Up (Year 08/2006 ). Isuzu D-max/Danver/Rodeo (3.0TD-TFS77) Pick Up (Year 07/2003 ). Isuzu D-max/Danver/Rodeo (2.5TD-TFR54) Pick Up (Year 01/2004 ). For Isuzu Pick Up 3.1TD TFS69 Japanese Import Models. (Year 1997 Onwards). GENUINE ISUZU TROOPER TFR / TFS-RHD 1991 - 1998. BEFORE YOU BUY THIS PART SO I CAN CHECK IF THIS IS THE CORRECT PART FOR YOUR VEHICLE. For Isuzu D-max/Danver/Rodeo (2.5TD-TFS54) (3.0TD-TFS77) Pick Up. Part Number - I4622. Eine Manschette defekt, siehe Markierung, Kugelkopf ist in Ordnung. Sie dient nur zur Orientierung und ist nicht verbindlich! Opel Monterey 3.1 TD. 5 Gang Schaltgetriebe. Spiegel el. Anzahl der Türen. 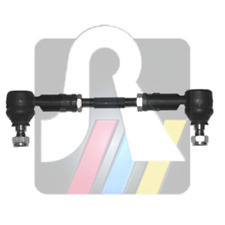 (2) 2 XINNER TIE ROD END SETS. We will work to resolve any issues and assist in anyway that we can. Rotula de direccion Isuzu externo. Coche: ISUZU. Para ajustar: Todo soldado (1984-2004). El anuncio es para 2 unidades. Lado de montaje: Frente de Izquierda y Derecha. Estas son partes de fallo MOT común y siempre se recomienda cambiar en parejas. 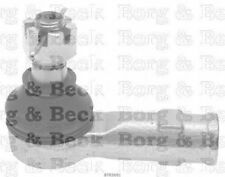 FEBI BILSTEIN 43318 - Stange/Strebe-Stabilisator PROKIT. Stange/Strebe Koppelstange. Anhängevorrichtung/-anbauteile. Rufen Sie uns an. - Due to custom duties a variation of the price may follow. Nicht- EU-Länder. Posición: Frente externo (Isuzu); Frente interno (Acura y Honda). ISUZU Amigo 1989-1994 Frente externo; Roscas a mano derecha. ISUZU Recolección 1988-1995 Frente externo; Roscas a mano derecha. ISUZU rodeo 1991-1997 Frente externo; Roscas a mano derecha. To Fit: All Trooper (1984-2004). 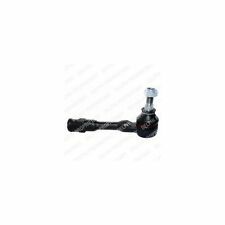 Isuzu Outer tie rod end. Car: Isuzu. 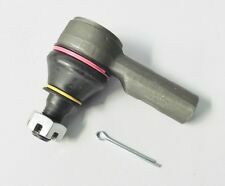 Part: Inner tie rod end. Fitting Position: Front Left and Right. For Isuzu Pick Up 2.5TD TFS54 (Year 1997-06/2003). Only for Right Hand Drive Cars . Manufacturer Part Number 101-3662. MPN 101-3662. Warranty Type: Manufacturer Warranty. Warranty Duration: 1 year. 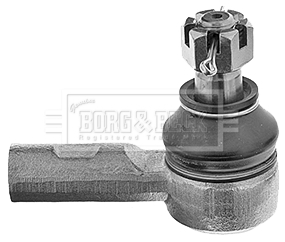 We make every effort to assure that we provide top quality and correct parts for any given application. FIRSTLINE NO: FTR4303. MMMTrooper UBS52 (1980-83) 2.2D. MMMTrooper UBS52 (1987-92) 2.2TD. MMMTrooper Van UBS52 (1987-92) 2.2TD. OUTER TIE ROD. M14x1.5 RHT female thread. FITS LEFT OR RIGHT SIDE. Todos los artículos vienen con la garantía del fabricante, y se darán a conocer bajo pedido. Vamos a trabajar para resolver cualquier duda y ayudar de cualquier manera que podamos. OCAP 0290456. Spurstangenkopf Gelenkkopf. Inhalt 1x Spurstangenkopf Gelenkkopf. ISUZU TROOPER (UBS) 2.2 D 4x4. ISUZU TROOPER (UBS) 2.6 4x4. ISUZU TROOPER (UBS) 2.8 TD (UBS55). ISUZU TROOPER (UBS) 2.8 TD 4x4. 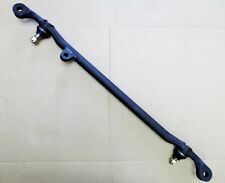 Rótula barra de acoplamiento delantera derecha exterior izquierda interior para OPEL FRONTERA A, ISUZU TROOPER. ISUZU 9445 94802. OPEL 0324 057. OPEL 0920 373. OPEL 324 057. OPEL 920-373. Accesorios eléctricos. Part No : ADZ98728. Rice Rocket. ISUZU N SERIES 3.0DT Light Truck RWD 5 MTM 4JJ1 NKR85 With Independent Suspension 07/06>NULL. ISUZU N SERIES 3.0DT Light Truck RWD 5 MTM 4JJ1 NKR85 With Independent Suspension 07/06>. Parte #: ES2928. GEO SPECTRUM (1989). Chevrolet / Geo / Isuzu. ESPECTRO DE CHEVROLET (1985-1988). We will not be responsible if it does not fit your vehicle. Isuzu Bighorn & Trooper 2.3 UBS16/UBS52 (r/h outer & l/h inner). Isuzu Bighorn & Trooper 2.6 UBS17 (r/h outer & l/h inner). Isuzu Bighorn & Trooper 2.8 UBS55 (r/h outer & l/h inner). Isuzu Bighorn & Trooper 3.0 UBS73 (both sides outer). For Isuzu Pick Up 3.1TD TFS69 Japanese Import Models. Dirección de relé de Rod Centro - estrenar la pieza Calidad. Sólo para mano derecha unidad R/H/D coches . (Year 1997 Onwards). Texto original. For Isuzu Pick Up 2.8TD TFS55 Import Only. (Year 1997 Onwards). Produkttyp Spurstange. »Pathfinder. »Outlander. »Mitsubishi. »Mountaineer. »Grand Miarquis. »SLK-klasa. »CLS-klasa. 1991-2003 GMC Sonoma. 1983-1994 Chevrolet S10 Blazer. Chevrolet / GMC / Isuzu. 1996-2000 ISUZU HOMBRE. VÍNCULO CENTRO. We will not be responsible if it does not fit your vehicle. Einbauort Vorderachse. ISUZU, CAMPO (KB), 2.0 (KB28). ISUZU, CAMPO (KB), 2.0 4WD (KB48). ISUZU, CAMPO (KB), 2.2 D (KBD27). ISUZU, CAMPO (KB), 2.2 D 4WD (KBD42, KBD47). ISUZU, CAMPO (KB), 2.5 D (KBD27). FOR ISUZU D-MAX. Fitting Position:Front Axle left and right. Part specifications. This is an original quality part manufactured by Blue Print. ADZ98715 centro del acoplamiento del relais fit ISUZU VAUXHALL más rápido PICK UP BRAVA FRONTERA. Parte: ADZ98715. Manufacturer Part Number ADZ98715. VAUXHALL BRAVA 2.2 D 5 P/Up 4 x 4 MTM C223 TFS52 01/88 > 12/90. Part No : ADZ98710. 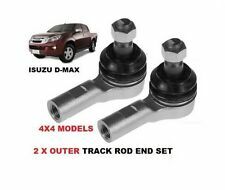 ISUZU N SERIES (LHD) 3.0DT Light Truck RWD 5 MTM 4JJ1-TC NLR85 Without Independent Suspension 01/08>NULL. ISUZU N SERIES 2.8DT Light Truck RWD 5 MTM 4JB1 NKR55 07/96>12/02. ISUZU N SERIES 3.0DT Light Truck RWD 5 MTM 4JJ1 NKR85 Without Independent Suspension 07/06>. Las aplicaciones para este artículo pueden verse en la sección de compatibilidad. MPN 101-3670. Warranty Type: Manufacturer Warranty. Warranty Duration: 1 year. We make every effort to assure that we provide top quality and correct parts for any given application. FOR ISUZU RODEO. Fitting Position:Front Axle left and right. Q22499Q, Q30514Q.